Marcelo and Andrea will marry in June 2009. They are the affable young couple that manage the beautiful Hosteria Antiguo Patagonia on Lago Buenos Aires in Los Antiguos. 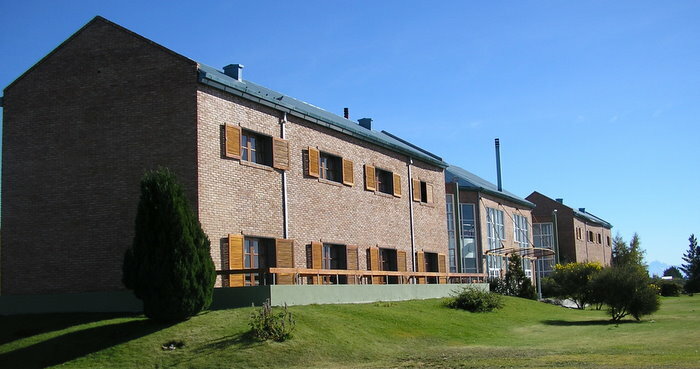 The spaciousness of the slate floored lobby with a two storey window wall overlooking the lake give this 16 room hotel the feel of a much larger resort. Guests can enjoy the manicured grounds that go down to the hotel’s lake dock. A game room has a pool table and large screen TV with DVD’s. Bikes are available for rental. The second floor dining room, a full service restaurant during the summer season, boasts The second floor dining room, boasts an additional lounge area with a large stone fireplace. 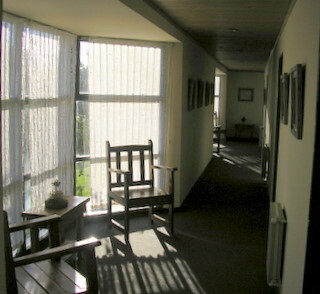 The hallways to the rooms have additional seating areas. Attractive art work and artifacts decorate the hotel. 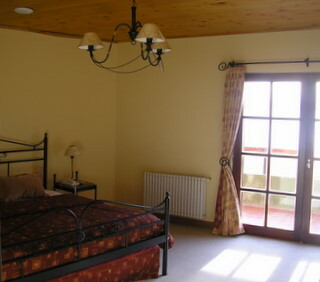 The rooms are large and comfortable with all first class hotel amenities. 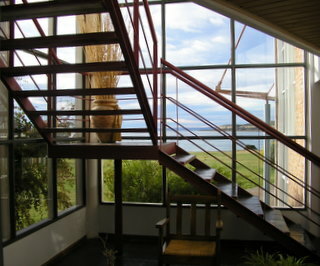 My ground floor room had French doors that opened onto a private terrace, and all rooms overlook the lake. 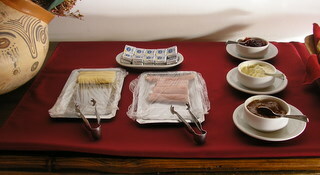 Breakfast was a pleasant buffet with ham, cheese, medialunas, rolls, butter, granola, yogurt, fresh juices and espresso. 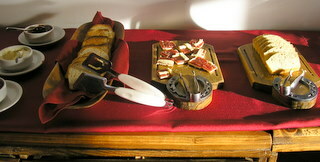 Even though I was the only guest the second day, the entire buffet was laid out. The off season rate for a double is only AR$240 (US$66) and in high season it is only AR$300 (US$82). 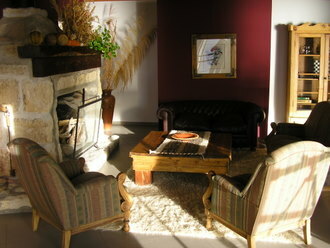 Hosteria Antiguo Patagonia is closed from mid-May through September.